Pens are one of the most well-liked and traditional promotional gift items because of their irrefutable worth. 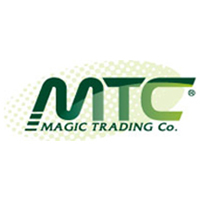 Take a typical form of specialty advertising and upgrading ball point pens by imprinting your company logo, web address or brand name, and you will have suitable promotional giveaways for your clients and customers. 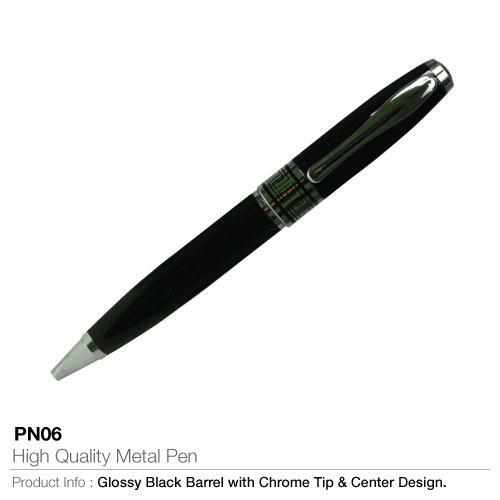 The PN 06 is one of our classic high quality metal pens suitable for promotional purposes. The PN 06 metal pen has a twist mechanism with a shiny black color and silver clip, nib with an effortless writing experience, a uniquely designed yet slightly large center ring which adds to the archetypal form and efficacy of the pen. Prime movers are proud to offer a wide range of customized metal pens for you to select from and here, at magic trading company in the UAE, we are not left out as we delight in giving you that desired publicity by printing your company name, logo or website address on this finely designed pen barrel for use as promotional giveaways, for your customers or clients as a form of bigheartedness to ensure a warm and good working relationship. Pens are used by everyone on a daily basis in places such as offices, schools and other working areas of life, for personal or official endeavors and this makes promotional pens a priceless advertising tool. Metal pens appeal to a well urbane audience and the PN 06 metal pen with its bulky finishing and finely designed barrel offers you with the quality choice for souvenirs. Nothing can stun your clients more than elegantly engraved or imprinted metal pens. Custom printed pens such as the PN 06 metal pen is your option for advertising your brand and can be used in seminars, training and personal or official meetings. Available options: Full black color with silver trims. Printing options: Laser engraving or silk screen printing. Supplementary suggestions: Wooden pen box, clear acrylic pen box, velvet pouch, aluminum pen box.